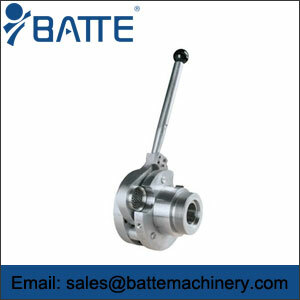 The characteristics of hydraul - Batte Machinery Zhengzhou Co,.Ltd. 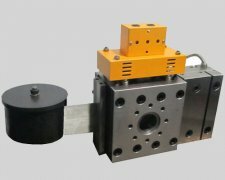 The hydraulic screen changersuitable for a wide range of materials, to ensure no leakage. 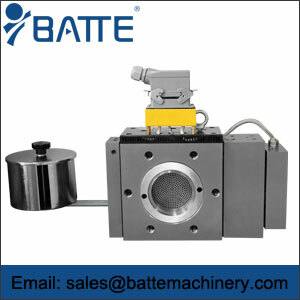 Hydraulic plate type exchanger changer on extrusion production line has little effect, change the speed of network can be based on customer requirements to adjust. Time around 1-1.5S. 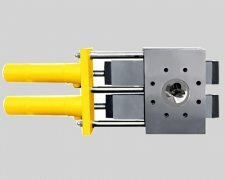 Hydraulic plate type exchanger metal sealing system is easy to adjust, ensure the sealing no leakage operation screen changer, for up to 300 degrees C and melt pressure and melt temperature as high as 40MPa. Can be horizontal or vertical installation. 3 selection of wear resistant materials, low maintenance cost 4 humanized design, can be equipped with protective cover, to prevent injury and burn 5 product range: diameter 6 35-250mm optionally filter flange design flexibility, can according to the specific design of client device 7 for network speed, reduce down time.